Event results and information from across the pond. Results from across the pond. First place finisher from Southern European sectional. A first look at what the European athletes are up against this weekend. Euro footballer prepping for the Games. Stockholm Fight Center checks in with the following report from the North European Sectionals that transpired over the weekend. 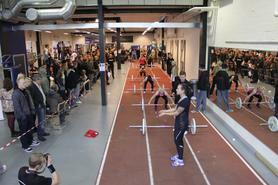 A huge success for the CrossFit community in Scandinavia. 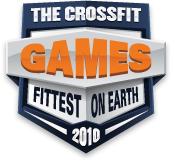 Games qualification are again underway overseas and the first to check in with a report is Joakim of CrossFit STHLM. "It was an action packed first day of the North East Europe Sectional. Athletes from across Scandinavia will converge on CrossFit Stockholm. Athletes from across Europe will converge on two Sectionals in North and South Europe this weekend in their bid for the Regionals, and possibly the Games.